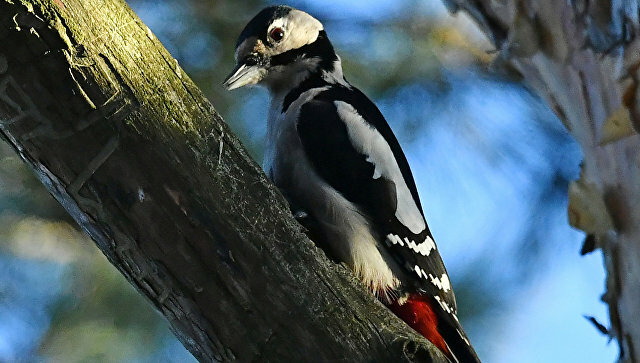 Scientists have refuted the myth about the “invulnerability” of woodpeckers to overloading when chiselling trees, discovering the chemical traces of brain concussions in the heads of several birds at once. “There are dozens of construction and sports gadgets built on the same principles as the woodpeckers skulls, which, as the colleagues thought, never suffer from brain injuries.” For some reason, it never occurred to anyone to look inside the skull of the woodpecker and check to see if there are any whether there are traces of concussions and other injuries, “says Peter Cummings (Peter Cummings) of Boston University (USA). Every person who has ever visited the forest is well acquainted with the knocking of a woodpecker and the way they get their food. Scientists and residents have long been interested in the simple question of how these birds manage to avoid the destruction of the beak, the retinal detachment of the eyes and other injuries that they should receive, striking huge blows along the tree trunk. In recent years, several dozen scientific papers have appeared explaining how the bones of the skull of woodpeckers can withstand overloads, thousands of times greater than the acceleration of free fall, and not break down. Some of them were even awarded the parodic Shnobel Prize. Nevertheless, the minds of scientists still torment the same question – how do woodpeckers avoid concussions and brain injuries? According to Cummings and his colleagues, this issue does not make sense, since woodpeckers do not actually have such invulnerability. They came to this conclusion by studying the structure of the brain and its chemical composition in several woodpeckers whose alcohol-bound bodies were kept in two different museums of the city. As scientists explain, a concussion or any other serious trauma usually leads to the accumulation of the so-called tau-protein inside it. This substance accumulates inside and around the nerve endings and helps to stabilize them, which protects the neural tissue from further damage, but sometimes leads to the development of even more serious pathologies. Accordingly, if woodpeckers do not really damage their brains during the extraction of food, then their body must contain minimal amounts of this protein, and it will be distributed along the neural tissue in a fairly random and uniform manner. As shown by the experiments of Cummings and his team, in fact it is not so. The brain of all woodpeckers contained enough large amounts of tau protein, and it was more often found in those regions of the brain that were adjacent to those parts of the skull that had the highest load. “The first woodpeckers appeared on Earth about 25 million years ago, and the question arises: how did they manage to live so long if their manner of eating is not safe for their brain? It is possible that their evolution did not stop on the skull bones that soften the blow and the accumulation of large amounts of tau protein protects, rather than damages their brains, as occurs when other animals are shaking, “concludes Cummings.